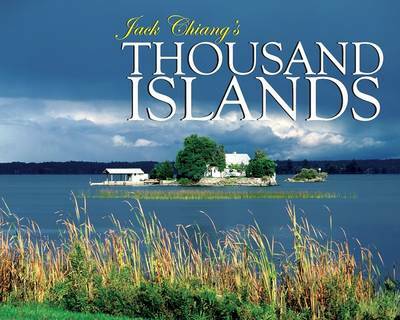 If a picture is indeed worth thousand words, Jack Chiang's "Thousand Islands" tells a grand and wondrous story. In this magnificent collection of more than 250 full-colour images, Chiang tells the story of the people who live, work and play along both sides of the Canada-U.S. border. He explores the four-seasons saga of this spectacular area and one of the most popular destinations enjoyed by millions of visitors every year. Here are the towns and villages on both sides of the St. Lawrence River - Kingston, Brockville, Belleville, and Gananoque on the Canadian side - Alexandria Bay, Clayton, and Ogdensburg and on the U.S. side - just to mention a few. With the artist's eye for detail that has earned him international acclaim, Chiang captures the splendour of the St. Lawrence River itself, the vast sweep of breathtaking islands, Boldt Castle, Singer Castle, the lighthouses, and the virtual armada of cruise and pleasure craft that ply the waterways between the islands. A columnist and photo editor of the Kingston Whig Standard, Jack Chiang was born in China and grew up in Hong Kong, Macao and Taiwan. He received his Bachelor of Arts degree from the National University of Taiwan, and his Masters degree in journalism from Marquette University in Milwaukee, Wisconsin. Jack Chiang's photos appear frequently in all major Canadian newspapers as well as in Reader's Digest, the International Herald Tribune and the New York Times.